2019 Greetings from Pontie Wax! In 2018, my good friend of 13 years wrote her first comic book called Wash Day. So many people bought it and many research libraries and institutions have already acquired it for their permanent collections. It was named one of the best comics of 2018 by The Comic Journal. In short, it is amazing! 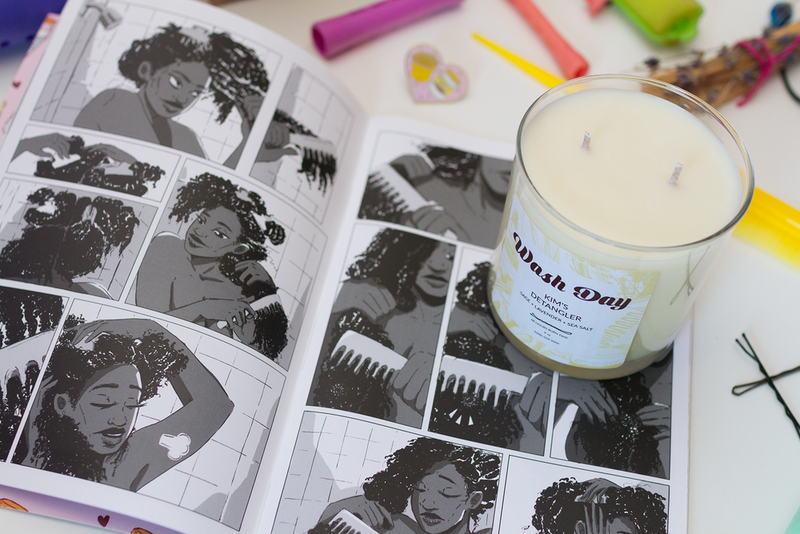 I am therefore thrilled to announce that we have collaborated to create limited-edition hand-poured, soy wax candles inspired by the characters of this wonderful comic! We are only making 100 and you can purchase them by backing our special “Make 100” campaign on Kickstarter! Get them while they are still available!